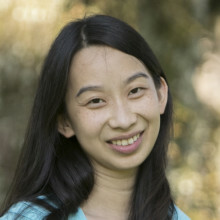 Dianna Liu is the founder and president of ARIX Technologies, an early stage startup creating external pipe crawling robots and a data visualization system to help oil & gas companies more safely and efficiently inspect above-ground pipes. Before ARIX, she worked at ExxonMobil in commercial operations on their crude oil trading floor and as a field engineer and coordinator at a refinery. Dianna is a 2012 graduate of Duke University with dual majors in mechanical and biomedical engineering and a 2018 graduate of Yale University with an MBA. While in high school and college, she was an R&D intern at various biomedical engineering and pharmaceutical organizations including the National Institute of Health (NIH), Medtronic, Merck, and the University of Texas Health Science Center in San Antonio, and sees great value in applying lessons, technologies, and ideas from the medical industry to oil and gas. Outside of work, she loves horses and her dogs, and is the founder and co-owner of a 18-year old online horse game.